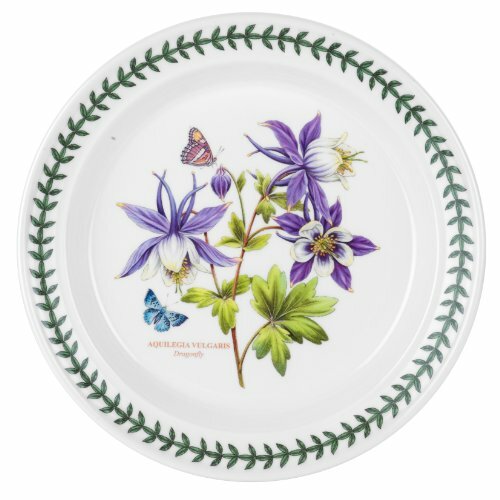 Portmeirion continues to build on the legacy of it's iconic Botanic Garden pattern first introduced in 1972. Artist Susan Williams Ellis created Botanic Garden to depict a full range of flowers as found in English gardens from antique botanical books. Now, this new range branches out to include beautiful and vibrantly colored tropical flowers. Each piece in this new collections coordinates perfectly with traditional Botanic Garden, both in shape and design. The Dinner Plate is available as a single motif, or in this set of six assorted motifs.